The charming cottage patio at Indigenous. I dine out for a living in the Tampa Bay area. But I head south to Sarasota-Manatee largely for funsies, to hang out with friends and family. Over the years I’ve developed a short list of places that reliably feed me well and nurture me with expertise, the kinds of places that seem to breed convivial conversation and maybe gratuitous lingering over one last glass of wine. They aren’t all the same, and their price points are all over the map, but here are some of my go-tos. The first time I visited I knew only that Steve Phelps had been chef at the Bijou Café for a couple years and had worked at the Canvas Café, the space in which he chose to open Indigenous. It was a lovely Florida bungalow just a couple of blocks off Main Street in the Towles Court district, with a great use of indoor/outdoor space as well as seating in a more intimate cottage setting. It was attractive, its mission of local and careful sourcing abundantly apparent as the server got into her spiel. That was seven years ago. Since then, I’ve realized that Phelps is a serious force in Florida’s burgeoning sustainability efforts. He’s involved in the Seafood Watch Blue Ribbon Task Force of Chefs, is a mover and shaker with Chefs Collaborative and does regular “trash fish” dinners to popularize lesser species. Seriously, he’ll manage to get you enthusiastic about rudderfish or jolthead porgy. (Can they work on the names of some of these fish?) 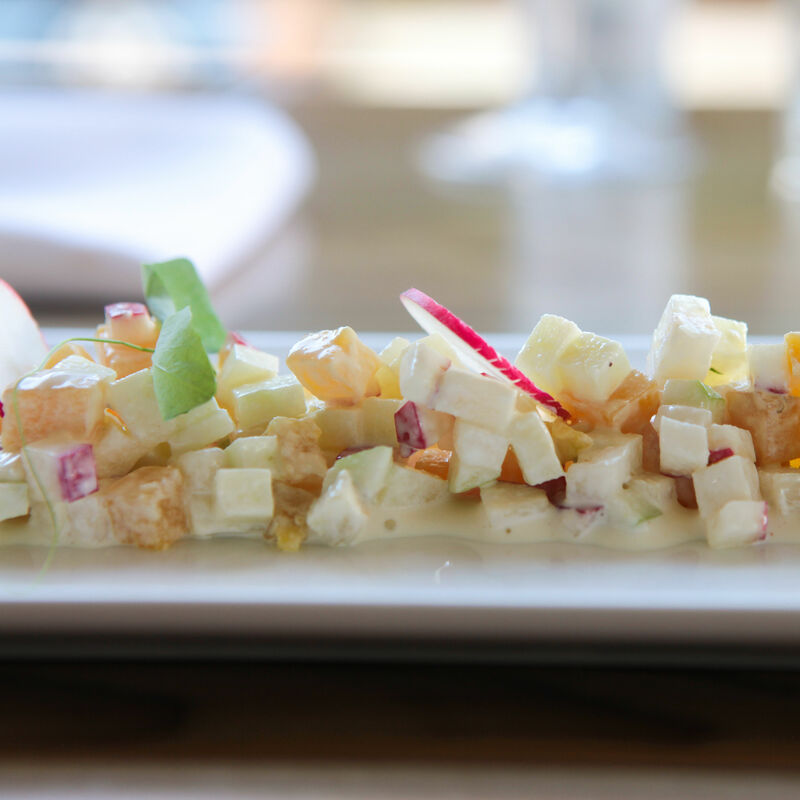 So, he’s known for his fish, but Indigenous has so many other delicious options. Pro tip: They do a pop-up sandwich night from time to time (check Facebook) where you might get to try some outlandishly good smoked brisket or Nashville-style hot chicken. 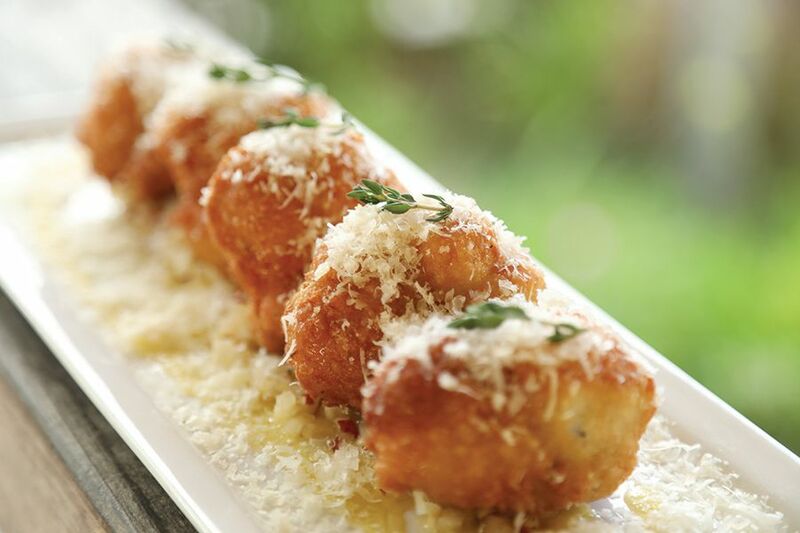 The rest of the time, peruse the menu while you finger-tweeze your way through a plate of house-pickled peppers or, their perfect airy foil, a regimented row of golden Parmesan beignets sitting in a puddle of local honey and capped with a snowy flurry of grated parm. The catch of the day is always notable, recently cobia in a Vietnamese-inspired preparation with fish sauce and bright acid, but I’ve also had a hard time forgetting a pork belly musubi dish, a tongue-in-cheek reference to Hawaiian Spam musubi (essentially sushi made with Spam), accented with a green curry mayo and a housemade furikake spice mix with peanut and sesame seed. Eight years in and this place still has a line in high season, a line I’ve been content to brave because of the payoff (no reservations, but you can call ahead and they’ll give you a time window). In all likelihood you’ll mill around in the back yard on the motley assembly of lawn furniture, maybe grab a beer and watch one of the cooks chargrilling oysters out there. Nearly all my favorite appetizers can be consumed sans silverware: boiled peanuts in a jar, peel and eat shrimp, and a very solid smoked fish spread with saltines. The naked fish changes daily, a mix of Gulf species and more far-flung fin fish, offered grilled, blackened, seared or fried, with a choice of sauces (if someone set a soup tureen of the brown butter Hollandaise in front of me, I wouldn’t complain) and a couple of sides. The sides are not perfunctory, from spicy local collards to black-eyed peas and andouille, with a sophisticated marriage of flavors that defy the “fish camp” image a bit. 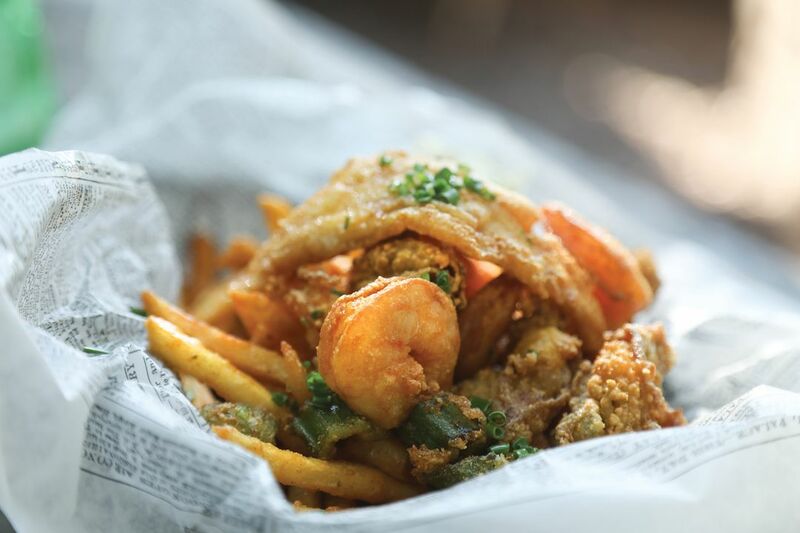 Owen’s deep fryer is a siren’s song, the camp basket a heap of fried oysters, shrimp, fish and fries with a side of slaw so you can say you ate something that wasn’t battered and greaselessly golden. Portions are fairly ample, so splitting isn’t a bad idea in order to be mentally prepared for the old-timey bourbon pecan pie. 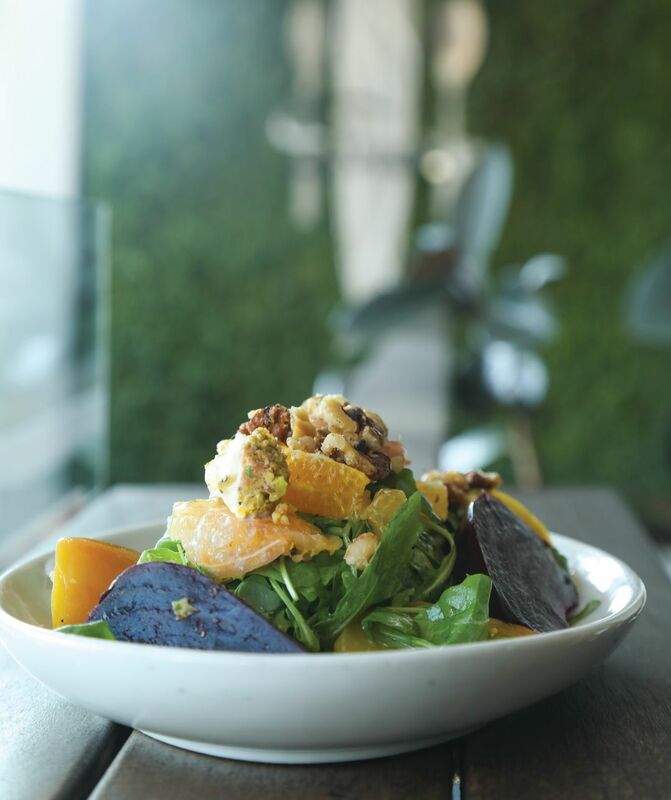 Shore's roasted red and golden beet salad. There’s a little bit of a precedent for this. 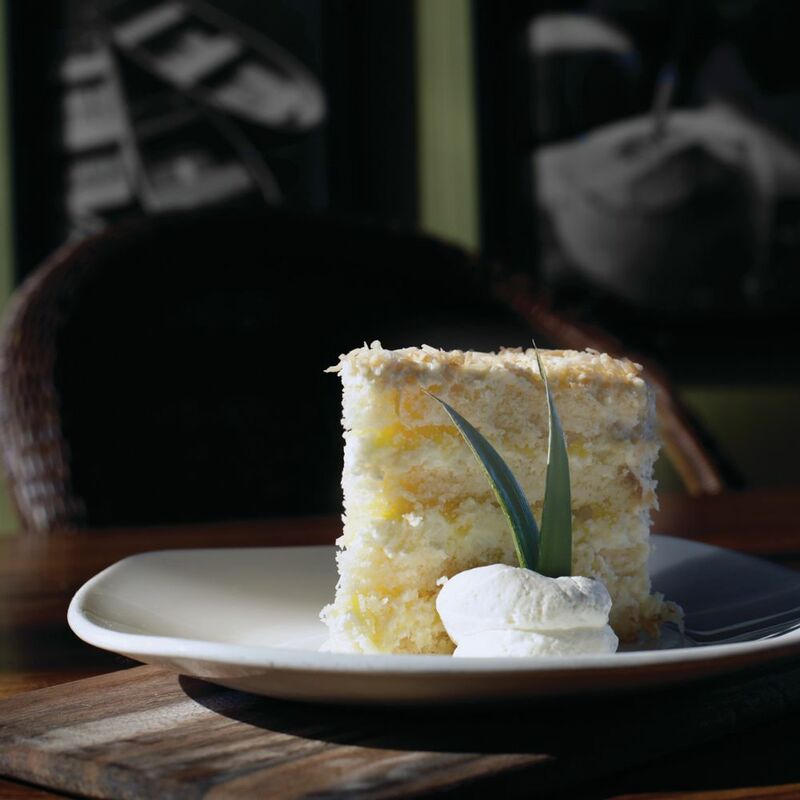 Tommy Bahama came to St. Armands Circle with a lifestyle-store-slash-restaurant (and they still do a darn fine job, especially with salads and froufrou cocktails—it might have been on this list had not Shore muscled it off). 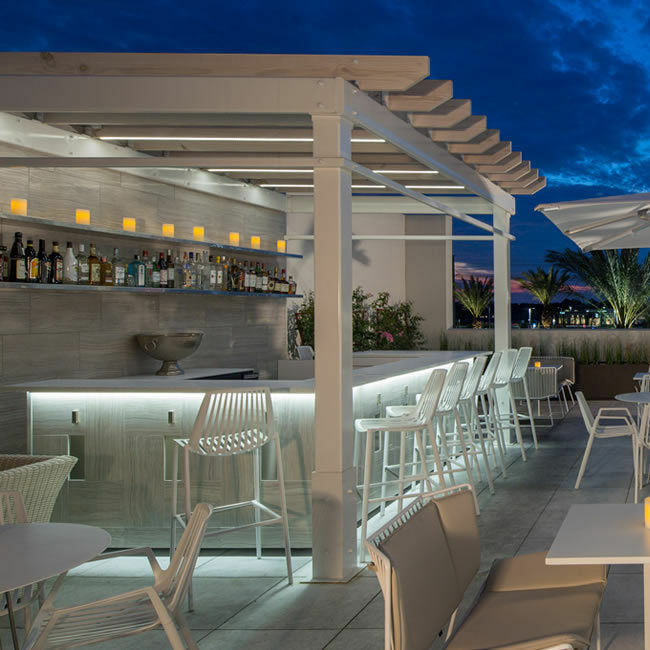 Shore is a newer addition to the St. Armands lineup, a “resort lifestyle brand” with a clothing shop downstairs and a glammy restaurant up above with great patio seating for maximum people watching. The retail component is not my jam, running to fancy surf garb and a lot of expensive candles and coasters, but the restaurant hits so many things just right. 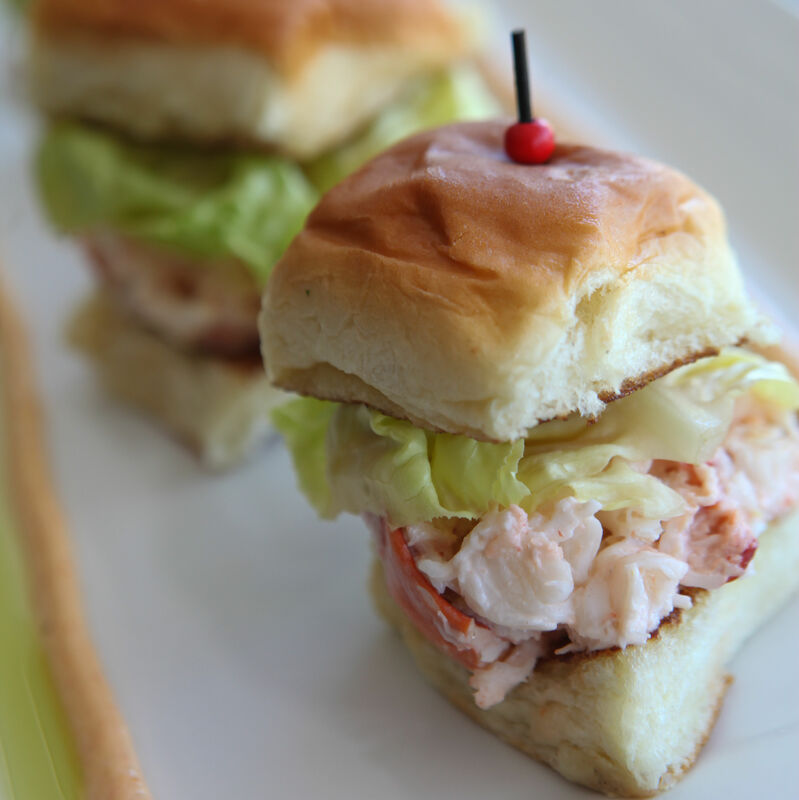 They do a nice happy hour from 3 p.m. to 6 p.m. daily (a lineup of cocktails for $7.50, lots of bar snacks like kung pao calamari and a lobster/crab roll) and offer a swoon-worthy classic Sunday brunch. But dinner, on a cool evening, with the sun settling against the horizon and the space heaters keeping things cozy on the patio, is my favorite. It’s a biggish restaurant, about 150 seats, with a lively bar at the front and good flow between dining areas. On a recent evening it hosted a huge sweet 16 party (sophisticated taste, kids!) but otherwise seemed equally date-night appropriate and family friendly. The truffle fries, those calamari and the fried chicken seem to get high marks from regulars, and there are stunning Jenga-stacked pork ribs shellacked with a sweet-spicy Mongolian barbecue sauce that are easy to make short work of. But because of the name I’m inclined to suggest fish (a pan-seared snapper came with a swirl of sautéed spinach, a crisp-edged risotto cake and a tumble of sweet-tangy eggplant caponata). This I had just after working my way through a very photogenic roasted red and golden beet salad, classically rendered with fluffs of Laura Chenel goat cheese and toasted walnuts. 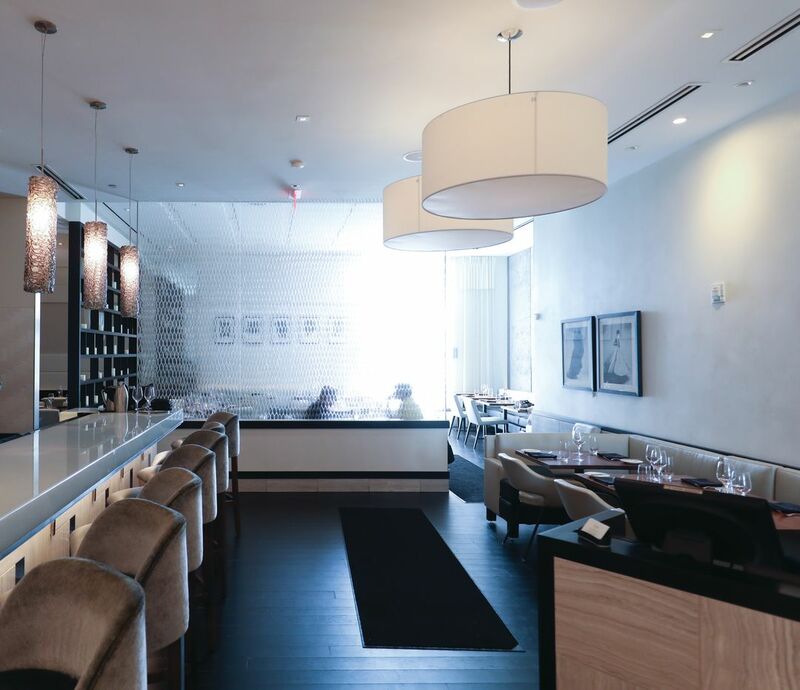 At a moment when meticulous service is as rare as hen’s teeth, Shore has high standards, its servers equipped with good menu knowledge and expert pacing. It’s relaxing to be tended to with this competent ebb and flow—not precisely like a day at the shore, but a lot less sandy. The suburban shopping mall killed the country’s 20th-century downtown department stores. And now Amazon and online shopping have killed the shopping mall. It’s Darwinian, rough justice, progress. But there are things I miss. I miss being a little kid and standing in line to see Santa Claus at Marshall Field’s in Chicago and then having lunch in the Walnut Room with my grandmother, my starchy party dress making my knees rashy. More than half a century ago in New York, women schlepping their best handbags shopped along the “Ladies’ Mile,” then rested their tired but well-heeled dogs at the cafe in Macy’s or Lord & Taylor. In Detroit it was the Hudson’s tearoom, in Minneapolis it was Dayton’s. The Mall at University Town Center in Sarasota has bucked the system. This upscale mall still has a Saks Fifth Avenue. And it, in turn, has a darn fine restaurant. My daughter’s name is Sophie, so maybe I was predisposed to like Sophie’s when it opened on the second floor. Named for fashion designer Sophie Gimbel (I think that’s her on the wall in the black and whites), it’s a spare, attractive space in grays, whites and earth tones, a candle wall separating parts of the dining room and a white patio with a long bar and wide umbrellas outside. 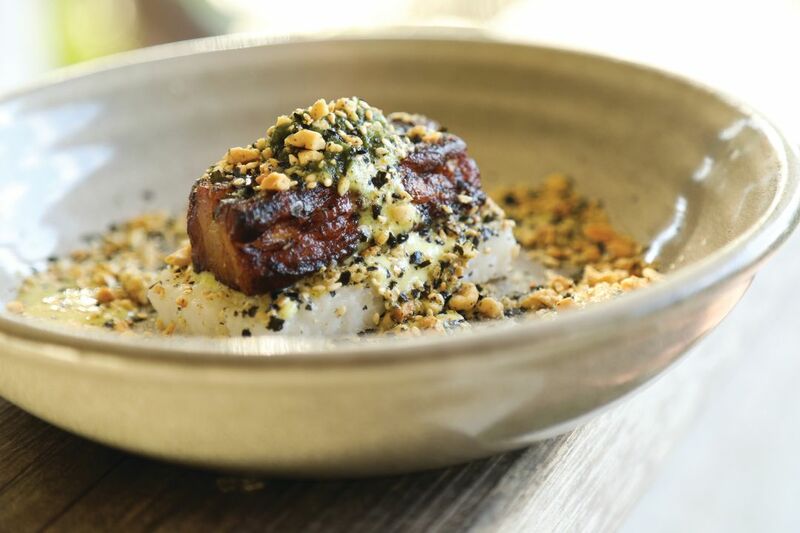 It feels good to get dressed up a little here (but no need for scratchy dresses), executive chef Alex Reyes’s menu taking the food far beyond the ladies'-lunch kind of place. An oh-so-French salad juxtaposes bitter-crunchy lengths of endive with the sweet snap of Asian pears, crumbles of tangy blue cheese and candied walnuts in a balanced vinaigrette. A light appetite might follow this with the equally Gallic velvety chicken liver parfait with red onion confit and rusks of garlic sourdough (why don’t chicken livers get more lovin’ around here?) or a bowl of seasonal soup, frequently gooey French onion. 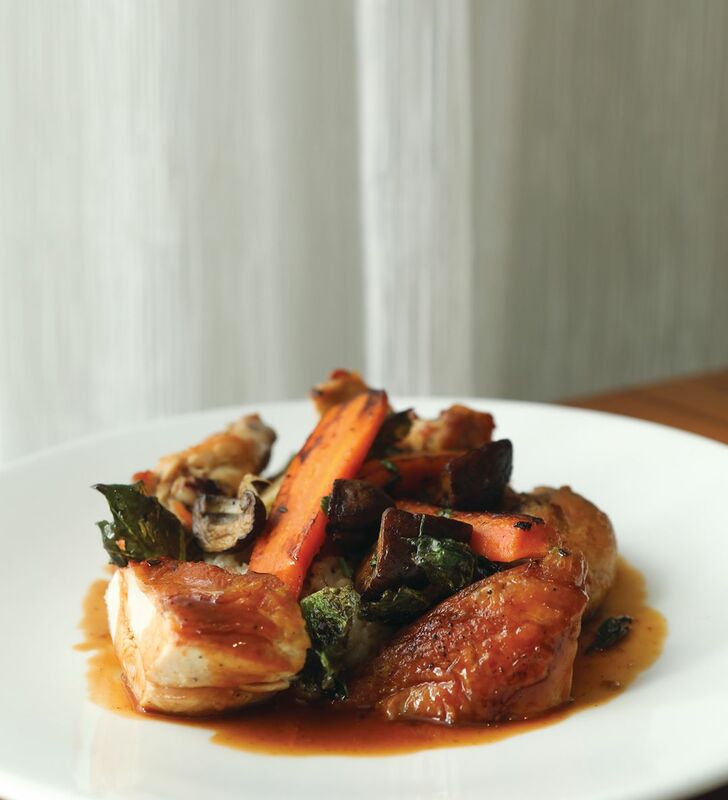 But if you’ve got more shopping to slog, I recommend the golden-skinned roast chicken with its pearl barley risotto and crisp-edged, herb-flecked roasted vegetables. My grandmother had “the diabetes,” but a sweet tooth, so I know that she would have ended things at Sophie’s with the showstopper: a signature coconut bread pudding, the cap crisp and the custard plush beneath, a scoop of vanilla bean ice cream gilding the lily in just the right way. 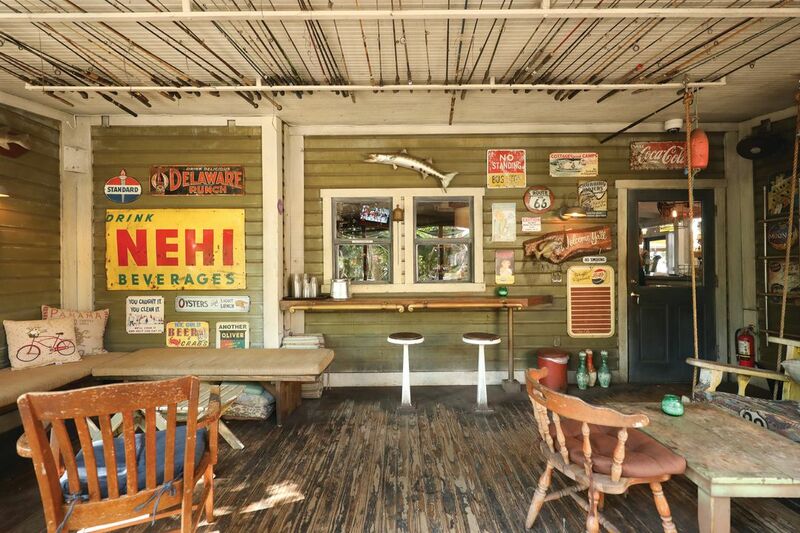 I’ve had a long and ardent admiration for Mar Vista owner Ed Chiles, son of former Florida Gov. Lawton Chiles. I’ve written about his Florida caviar project; I’ve written about his bottarga project (dried pressed mullet roe), as well as his agenda to take Cortez’s mullet industry in a new, more profitable direction. Not everything he’s embarked on has turned out precisely as planned, but he’s got indefatigable zeal, Florida’s well-being always center stage. Through it all, though, he’s run some of my favorite restaurants in the area. The Sandbar has gotten the lion’s share of my ink, but I recently had the opportunity to experience Mar Vista on the north tip of Longboat Key another way, by boat. 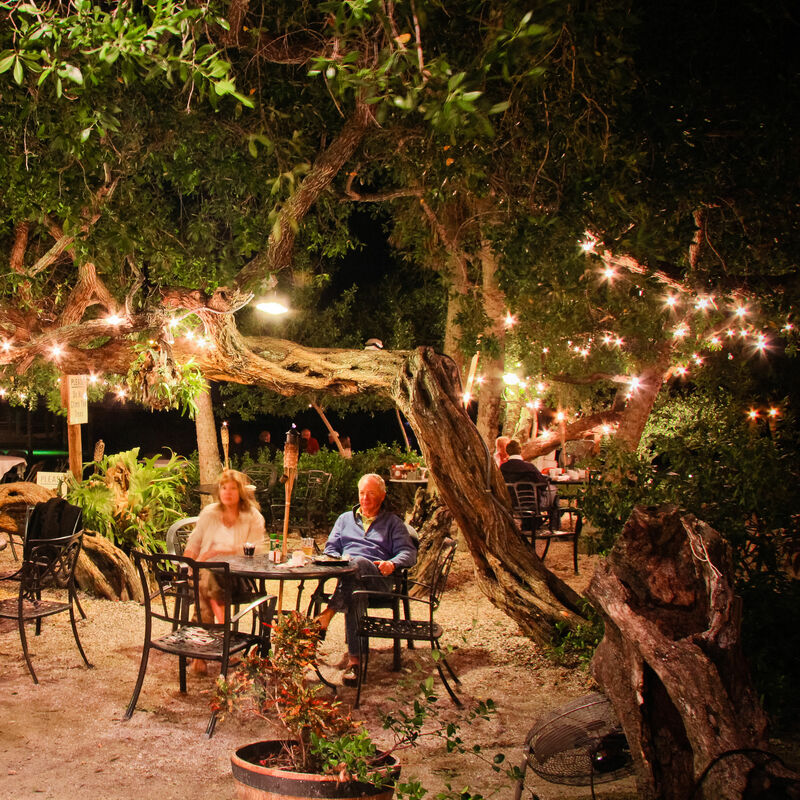 They’ve been in the midst of a $2 million expansion here this past year or so, but it still has a kind of ramshackly, beachy charm, the best seats right at the water’s edge, shaded by wind-tortured trees strung with little lights. The entrance to the dock is all stern warnings—“No swimming allowed,” “No trespassing after business hours"—but the first thing I think of about this restaurant on the northwest shore of Sarasota Bay is warmth. It’s got an Old Florida sunniness, but don’t take that as shorthand for lack of ambition. Chiles has spoken before the U.N. about sustainable development goals. You can see that focus in the food on the plate. 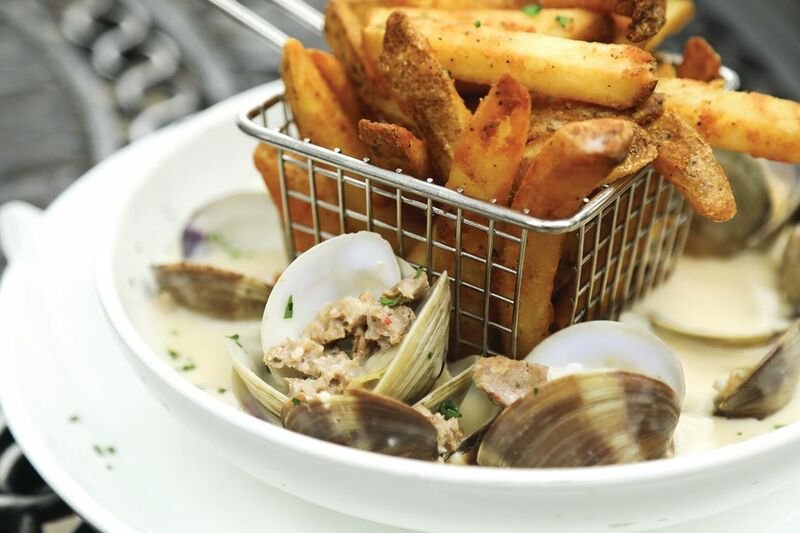 One of my favorite dishes is Two Docks clams, farmed right nearby under the Sunshine Skyway, steamed in wine with garlic and shallot, made more umami with loose sausage, a splash of cream making the broth the perfect dunkable with a basket of fries. For a while Chiles’s restaurants have served “local wild boar,” the brainchild of Keith Mann of Three Suns Ranch in Punta Gorda. Mann receives feral nuisance hogs from trappers, has them USDA processed on site and sells their rich, dark meat to Chiles. It lends itself to a slow braise, right now given an Asian inflection with sake, soy and ginger, paired with smashed potatoes enlivened with goat cheese. Chiles has always had an eye to eating invasives, popularizing lesser species and celebrating humble cuts (swordfish collar, anyone?). 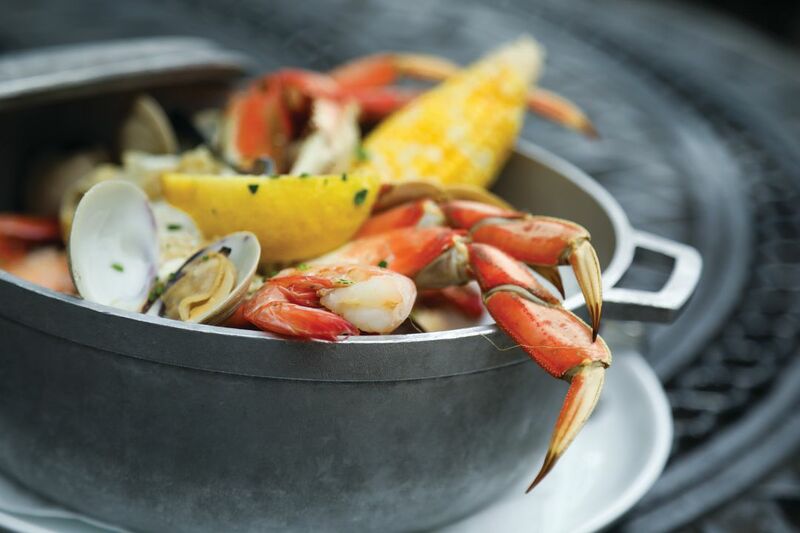 If you want something more traditionally luxurious, choose a roll-up-your-sleeves delicious Florida steamer pot, its crab, clams, Gulf shrimp, corn and red potatoes blushed with Old Bay and best consumed as the sun sets. $$ Seafood 760 Broadway St. 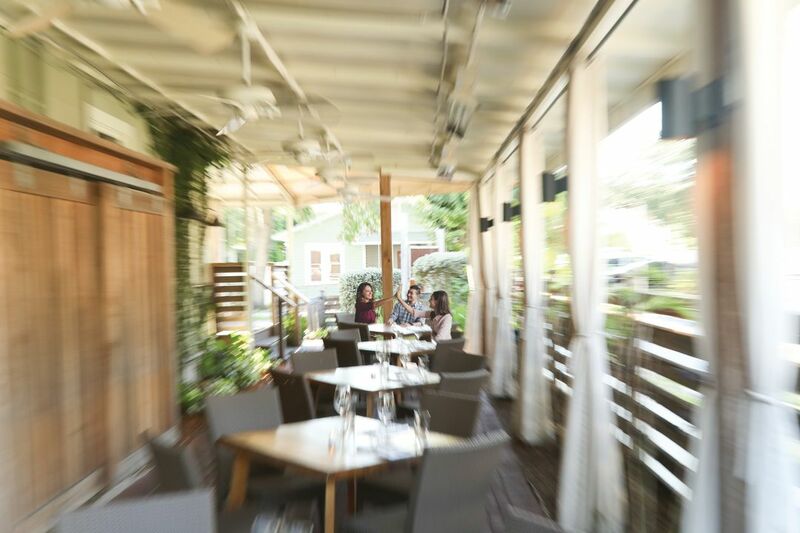 Located in a 100-year-old cottage in picturesque Longboat Village, Mar Vista provides the quintessential Florida experience. The surprise is discovering a fine-dining clubby restaurant in a department store at the UTC Mall.